Example 1: Bill Evans is a project manager for a western construction company in Xi’an. When he awoke this morning before work, he noticed that his heart was beating faster than normal and that he was perspiring even though it was cold. He did not feel like eating breakfast because his stomach felt unsettled. The thought of going to work worried him because yesterday he received an email from his boss in America demanding that he complete the project on time. He imagined the consequences of losing his job if there were any more delays, and felt worse. He could not think about anything else, and dreamed of escaping to the countryside and living a simple life far away from the stresses associated with managing Chinese contractors on a huge building site in Western China. Example 2: Liu Xiaomei had been married for 15 years when she learned that her husband had another lover and wanted a divorce. She was heartbroken. More importantly, she worried about how she could support herself and her small child. Her husband worked in another city, and did not earn enough money to support two families. She did not know how she would cope. Whenever she thought about the future, she was overcome by an intense feeling of dread. She tried to suppress these distressing thoughts, but could not do so. She could not think of anything else. It is normal to feel anxious in these circumstances, and usually we feel anxious for a limited time. These uncomfortable feelings are a part of everyday life. Here is an unusual description of Anxiety: “Anxiety is a thin trickle of fear in the mind into which all other thoughts are drained” (Arthur Sommers Roche). How true. Sometimes a little anxiety can be helpful when we need to perform to the best of our ability. For example: if we have to sit for an examination, our feelings of anxiety can stimulate us to plan a regular study schedule and to work consistently during the weeks before the examination. The anxiety helps us to reach our goal. This fear of failure actually helps us to do our best. In fact, many famous performers and sportsmen admit to experiencing some anxiety before they walk out onto the stage or run onto the sports-field. They say that a little anxiety makes sure that they are not complacent, and helps them to stay focused on their performance. Normal anxiety can also help us to prepare for the bad things that might happen to us. For example: if we think that our employer might lay-off workers in the near future, then our anxiety about this possibility might motivate us to look for alternative work before we lose our job. The anxiety helps us to prepare for this possibility. The fear of losing our job stimulates us into action. For example: Many Chinese parents worry about their child’s future in a rapidly changing environment. This is what drives them to work harder so that they can earn more money to pay for a good education for their child. Their anxiety, their fear that their child may not succeed unless he gets a good education, motivates them to make the necessary sacrifices. The child will benefit one day from this normal type of anxiety. Thus, low-level feelings of anxiety can be useful. They can be helpful. Anxiety becomes a problem when our feelings become so intense that they interfere with our relationships (family, relatives, friends, etc.) and affect our performance at work, study, and so on. Severe anxiety affects normal functioning. For example; chronic, severe anxiety can affect the quality of marriages and the harmony of family life. Severe anxiety in the work-place can decrease a worker’s productivity. A sudden attack of severe anxiety in an exam can affect concentration and memory and overwhelm the student with so much fear, that she is unable to remember anything. Too much anxiety is harmful. However, severe anxiety can be treated. Everybody experiences periods of intense anxiety from time to time. This is normal. Can you remember your fear of the dark, or of nightmares, when you were a small child? And as an adult, can you remember times when you felt fear; such as walking alone late at night through an unsafe part of the city? 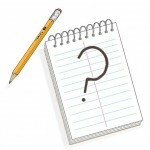 Can you recall occasions when you feared the outcome of certain events, or the shame of failure and defeat? Did your heart beat rapidly on these occasions? Was your breathing fast and shallow? Could you feel some weakness in your muscles? Or maybe you felt a little dizzy and nauseous. Perhaps you perspired. Can you recall how intensely you concentrated on the threats (real or imagined), and how you may have neglected other matters in your life? You may remember that those uncomfortable feelings did not last for a long time. As soon as the threat eased, your discomfort would also have eased, and your body would have returned to its normal state of equilibrium. As strange as it may seem, the uncomfortable feelings you experienced during those situations (above) were there to protect you – ­to help you to meet any threat. Automatic changes in your body chemistry were preparing your body to fight against or flee from danger. We call this the fight or flight response. But there is a problem with this automatic fight or flight response: Unfortunately, it cannot tell the difference between an external source of fear such as being physically attacked in Peoples Square tonight, or an internal fear of losing your job sometime in the distant future. The response is the same in both cases. It gets the body physically ready for action (refer to Table 1, below). Increased heart-rate to provide more blood to vital organs. Increased breathing to provide more oxygen. Increased adrenaline and sugar for energy. Digestion is slowed: the body’s resources are needed to meet the threat. Increased perspiration to cool the body during physical exertion. Pupils are dilated to let in more light, and to be more aware of danger. Blood is drained from the skin to lessen bleeding in case of an injury. Blood is diverted to the large muscles to increase strength. The problem is that the fight or flight response is a biological hangover from ancient times when man needed to react quickly to an immediate physical threat such as an attack by a wild animal. In more modern times, it is rare for a man to be threatened by physical danger. He is more likely to be threatened by his own long-term worries related to events outside his control, such as those outlined above. In ancient times, the fight or flight response would diminish after the danger had passed. In modern times, however, modern man’s threats are rarely immediate. And they are not as easily identified as a threat of physical harm is identified. They are often unclear and they can last for a long time. So the fight or flight response cannot go away. It must stay and do its job of preparing modern man to meet modern long-term worries or threats. This means that he often lives in a constant state of hyper-alertness and uncomfortable physiological arousal, i.e., a state of high anxiety. Anxiety is a big problem when it intrudes into your thinking, when it interrupts other activities, and when it refuses to go away. If it is there all the time, if you cannot identify the specific cause, and if you have an awful feeling that something bad may to happen to you, you may be suffering from severe anxiety. Your fight or flight response may not be able to turn itself off because of this persistent, ever-present sense of threat. And if you have already had one panic attack (an attack of severe anxiety) you may live in fear of having another one. Example: Mary Black was looking for a bargain in a department store where she usually bought her clothes. Suddenly, she felt dizzy and thought she might faint. Her heart began beating rapidly, and she had difficulty breathing. There was a pain in her chest and she feared that she might be having a heart attack. She looked around, and her environment appeared strange and unreal. She had a sense that something very bad was going to happen to her. She thought that she might die or go crazy, and wondered if the other shoppers could see her distress (they could not). She had a strong desire to escape to somewhere safe and familiar, ­to get out of the building and get some fresh air. Mary had just experienced a typical panic attack. 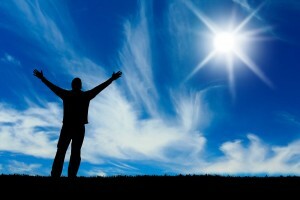 Although panic-attacks are intense and frightening, the good news is that they will diminish after a few minutes. They are not life-threatening, and they will go away. The problem is that she may refuse to return to the place where the original panic-attack occurred, for fear of experiencing another attack in the same spot. Avoiding such places will not help her to manage this specific type of anxiety, and her quality of life may suffer as a result. 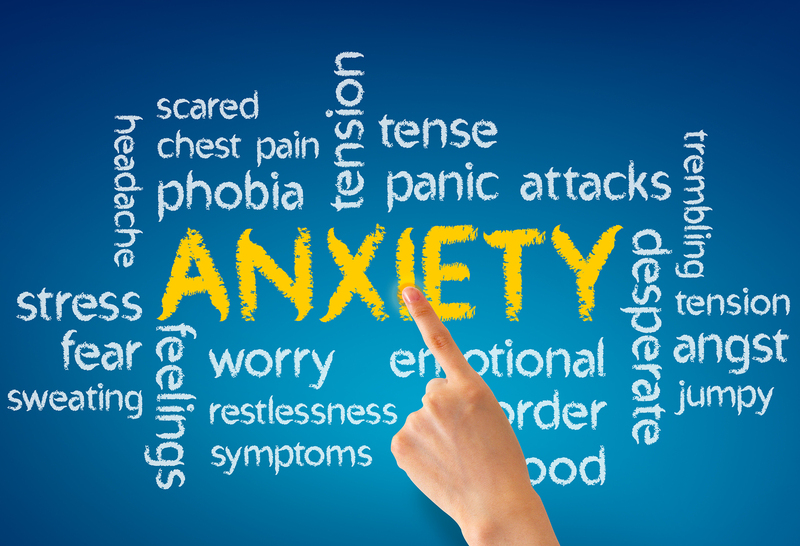 If you experience chronic severe anxiety, you may be suffering from an anxiety disorder. Anxiety disorders are a group of illnesses which are characterised by persistent feelings of high anxiety. Persons who suffer from an anxiety disorder usually experience continual or extreme discomfort and tension. They also may live with the fear of having a panic attack. There are many different types of anxiety disorders. If you are interested, have a look at the following descriptions. If not, then go to the next section titled: What causes Anxiety Disorders? Before reading this section, please understand that it is normal for us to experience some of the symptoms which are described below when we are facing a life crisis. Crises pass. A person will only be diagnosed as suffering from an anxiety disorder if the symptoms are so severe that they interfere with a person’s quality of life over a long period of time. People with this disorder worry constantly that something harmful will happen to them or their loved ones. For example; financial disaster, their health, work, or personal relationships. The irrational worry is accompanied by a feeling of constant apprehension. Example: Jane Green is a 13 year old student who is always worried about something. For example; She is always worried about being late for school. And when she is at school she tends to worry excessively about her competence and the quality of her work. So she takes a long time to complete her tasks, just to make sure that work is correct. Her mother reports that she has always had difficulty going to sleep, and that she cannot go to sleep at night unless the bedroom light is turned on. Jane is always anxious to please other adults and seems to be in constant need of reassurance. She is unable to control her worrying, and sometimes the focus of her worries shifts from one concern to another. Jane is suffering from generalized anxiety disorder. Although this disorder does not severely disrupt her life, her constant feelings of apprehension limit her ability to relax and to enjoy her life as a teenager. Agoraphobia is a fear of being in places or situations that may be difficult or embarrassing to escape from. It is the most common anxiety disorder. Persons with this disorder may fear that help is not available if it is needed. They may experience fear in many situations such as: supermarkets, department stores, any crowded place, confined spaces, public transport, lifts, freeways, and heights. They may feel more comfortable if they are accompanied by a relative or friend, or if they carry their medicine with them. Example: Wu Bing works in an office on the 8th floor of a government building in Guangzhou. He is a confident and cheerful young man who is liked by his friends and workmates. His boss regards him as an intelligent, hard-working assistant who is destined for early promotion. But Wu Bing has a secret fear: one that he cannot talk about to anybody because he believes that people will not understand, and might think he is crazy. He fears being in places or situations from which escape might be difficult. So he avoids using the lift in his building, and uses the stairs most days. On the days when he cannot avoid using the lift, he feels very anxious and fears that the lift might stop between floors, trapping everyone inside. He worries that the lift-alarm might not work, and that nobody will know they are in trouble. Perhaps he might suffocate. He also fears other confined spaces such as trains and planes, and some open spaces such as being on a bridge or being in a large crowd. Although he knows that his fear is irrational, he cannot control it. So he avoids all places where he thinks he might not be able to escape from if something goes wrong. Wu Bing suffers from agoraphobia. 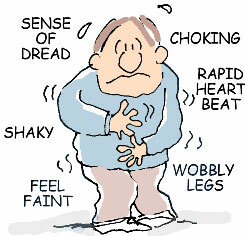 This disorder is characterized by extreme panic attacks in situations where most people would not be afraid. The attacks are accompanied by all the unpleasant symptoms of anxiety, with a fear that the attack will lead to death or a total loss of control. It is because of this that some people start to experience a fear of going outside (agoraphobia) and being in places where help is not available. Example: Lily was shopping for food in her local supermarket when suddenly she felt that something bad was about to happen to her. She was dizzy, and could not breathe normally. She had a pain in her chest. She felt that she might lose control and embarrass herself because everything around her looked so strange and unfamiliar. She thought that she was having a heart-attack and feared that she might die. She had a strong desire to run out of the supermarket and into the street. Mrs Grant had just experienced her first panic attack. From that moment on, she avoided all supermarkets, and would not leave her home unless a member of her family or a close friend went with her. The fear was overwhelming. She began to monitor her symptoms closely. She became frightened of fear itself. Everyone has some irrational fears, but phobias are intense fears about particular objects or situations which interfere with our lives. These might include fear of heights, water, dogs, closed spaces, snakes or spiders. Someone with a specific phobia is OK when the feared object is not present. However, when faced with the feared object or situation, the person may become highly anxious and experience a panic attack. People affected by phobias can go to great lengths to avoid situations which would force them to confront the object or situation which they fear. Example: For as long as he could remember, Ken was afraid of heights. For example; he could recall feeling very frightened every time he looked down from the balcony of his parent’s apartment on the fifth floor. On those occasions he would feel dizzy, and fear that he would fall off the balcony to the courtyard below. His heart would beat rapidly, and he would struggle to breathe properly. These days, he works in an office on the seventh floor of the Hilton Hotel, and has a desk that is away from the window. He dislikes the lift though, because it is not a normal lift¡­ it is attached to the outside of the building and is made of glass. He can look out across the rooftops of the city, and down to the busy street below. If he does this, he feels extremely anxious. On the days when there are few people in the lift, he turns his back to the view outside and stands close to the door. When the lift is crowded, he either waits for another less-crowded lift, or uses the stairs. He does not want to be forced to stand next to the glass where he can look down. Ken has a specific phobia: a fear of heights. 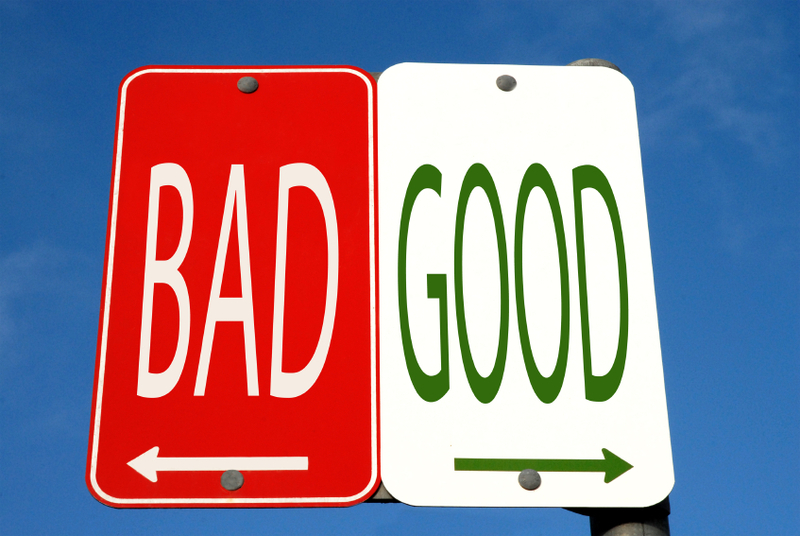 Persons with social phobia fear that others will judge everything they do in a negative way. They believe they are permanently flawed and worthless if any sign of poor performance is detected. They cope by either trying to do everything perfectly, limiting what they do in front of others, especially eating, drinking, speaking or writing, or they withdraw gradually from contact with others. Example: Hu Linmei is a shy 28 year old single woman who lives alone in her small apartment. She has very low self-esteem, and her family describe her as a very nervous person who does not enjoy going out with friends and family to eat at restaurants. She prefers to stay at home alone, rather than go out with others. She has never had a boyfriend, and believes that she is not good enough to have a boyfriend. Although she would like to have a boyfriend, she fears that a boyfriend might reject her after he really gets to know her. So she avoids any chance of developing a close relationship with any young man. She has no confidence in herself, and will not do anything that might cause other people to notice her. She fears that other people will judge her severely if whatever she does is not perfect. So she does not put herself in situations where others can observe her behaviour. She does not have many friends. Ms Hu is suffering from social phobia. Her fear of being judged by others is causing her to become more socially isolated. This disorder involves constant unwanted thoughts, and often results in the performance of elaborate rituals in an attempt to control or banish the persistent thoughts. The rituals are usually time-consuming, and seriously interfere with everyday life. For example; persons may be constantly driven to wash their hands, or continually return home to check that the door is locked or the stove is turned off. People with this disorder are often acutely embarrassed and keep it a secret, even from their families. Example: Peter is a 45 year old unemployed man who is divorced. His apartment is full of old newspapers and empty bottles which he does not want to throw away. He collects things. He will feel anxious if he throws things away. In the kitchen, there is a special place for his cooking utensils and so on, and his cupboards contain items which must be stored in a specific order. For example: large items must always be placed at the back of the cupboard, and middle-sized items must always be stored in the middle of the cupboard. If he discovers that something is out of place he gets very anxious, and feels compelled to put it back in its correct position immediately. When he does this, his anxiety diminishes. When Peter puts his clothes on in the morning, he must follow a certain routine. For example; he must always put his pants on first. Left leg goes in first, followed by his right leg. When he buttons his shirt, he must start from the bottom, counting all the buttons as he works his way up to the collar. And when he puts his shoes on, he must always put the left shoe on first. If something interferes with this ritual, he becomes extremely anxious and is compelled to remove all his clothes and begin dressing himself again. Sometimes, he has to repeat this process several times. This is why he is often late for appointments. It is why he lost his job. He was often late for work. It is also why his wife divorced him¡. She could not tolerate his strange behaviour anymore. Peter is suffering from Obsessive Compulsive Disorder, or OCD. The obsessions are his thoughts (e.g., I must count all the buttons), and the compulsions are the strange routines or rituals (e.g., doing up the buttons from the bottom to the top). Many people who have experienced major traumas such as disasters, war, torture, vehicle accidents, fires, or personal violence, continue to feel terror long after the event is over. They may experience nightmares or flashbacks for years. The flashbacks are often brought about by reminders of the traumatic experience. Example: Mr Manning was the manager of an old warehouse which stored chemicals and fertilisers. One day there was an explosion. Some workers were killed, and others suffered severe burns. Mr Manning was horrified by what he saw inside the warehouse. He did what he could to help the injured men, but had to run for his life when a second explosion set fire to the building. He was lucky to escape. Some months later he began to have nightmares about that shocking experience. If he heard a loud noise or smelled smoke, he would remember that terrible day and shake with fear. Sometimes it felt as if he was reliving that experience, so he tried to avoid any place that might remind him of that traumatic event. He moved away from the industrial area of the city, and got another job. He had difficulty sleeping, was often irritable, and thought that he had been changed forever by this experience. Mr Manning is suffering from Post Traumatic Stress Disorder (PTSD). People with certain characteristics are more vulnerable to anxiety disorders. For example; persons who are easily aroused and upset, and are very sensitive and emotional, are more likely to develop anxiety disorders. Persons who, in childhood, were inhibited and shy may also be prone to develop certain anxiety disorders such as social phobia. Some people who are exposed situations that are upsetting and anxiety-arousing, may develop an anxiety response when faced with a similar situation. They may also become anxious when they think about that situation. The tendency to develop anxiety disorders may run in families, or a person may learn anxious responses from their family or parents. It is possible that some anxiety disorders result from chemical processes in the brain. In all cases, there is a need for a thorough examination of the person to help determine the nature of the problem and how it may best be treated. 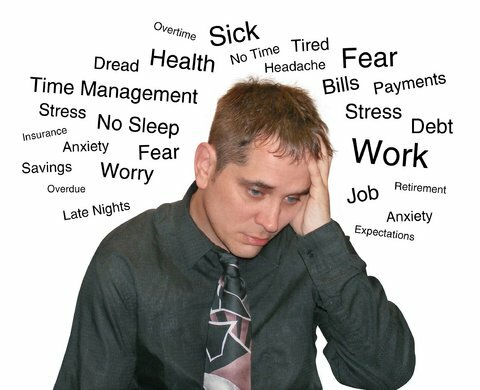 Here is a list of symptoms which are often experienced by persons who suffer from anxiety. Have a look at them and identify which ones might apply to you. Do not worry if the results make you even more anxious! Many people suffer from some of these symptoms, and this is normal for most people during stressful periods in their lives. You should only seek help if you suffer from high levels of these symptoms most of the time. Anxiety disorders can be treated. Table 2. Symptoms of anxiety. Shortness of breath or smothering. Feeling that everything around you is unreal. Fear of losing control of yourself. Learning about anxiety can help a person to understand what has been happening to her if she suffers from an anxiety disorder. And if she can understand what anxiety is, then it will be easier to deal with it in a more constructive and appropriate way. She will regain control over symptoms which have been uncontrollable in the past. Even if she can never hope to cure this illness completely, at least she will learn to manage it better in the future. If an anxiety disorder is not managed, it will continue to interfere significantly with a person’s thinking, feelings, and behaviour. This will cause a lot of unnecessary suffering and distress because anxiety disorders can be treated. Treatment focuses on helping a person to understand the thoughts and feelings which affect her behaviour. It also teaches her some simple techniques which help her to manage her symptoms of anxiety. Sometimes medicine is also used to help control high levels of anxiety, panic attacks, and depression. 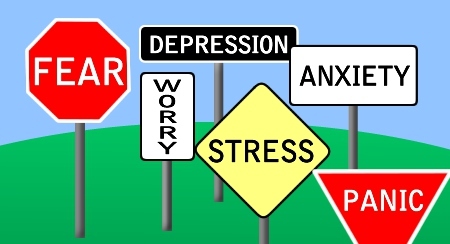 Clinical depression is often associated with anxiety disorders. Our thoughts affect how we feel, and our feelings affect our behaviour. Thoughts which cause us to feel anxious and distressed also affect our daily life and behaviour. Sometimes these feelings are so overwhelming that unless help is sought, they can lead to a downward spiral into depression and despair. For example; please refer to Bill Evans (Example 1, What is anxiety? above). If Bill had the type of personality that was vulnerable to anxiety, or if this situation had happened to him previously and he had lost his job and experienced severe financial distress as a result, then his initial low level of anxiety might be exacerbated by his negative thinking (refer Table 2, below). I’m going to lose my job again! Fear of having a panic attack. Fear of leaving home unless accompanied by a friend or relative. Avoidance of specific places (e.g., supermarkets, public transport, open spaces etc.). A skilled mental health professional would recognize this pattern of thinking and its consequences, and would include an appropriate method of treatment (e.g., Cognitive Behaviour Therapy) in his treatment plan for the patient. To reiterate: Understanding anxiety is the first step in learning how to manage it. The second step involves learning how intervene early and interrupt the distressing negative thoughts which provoke feelings of anxiety. This is the key to regaining some control over the uncomfortable symptoms of anxiety. A third step involves learning simple strategies which can help to change and then manage anxiety-related behaviour. Finally, if necessary, there are medicines available that can be used to assist the treatment of an anxiety disorder and any associated underlying depression. Contact a doctor or mental health professional for help. Anxiety can be treated. A little anxiety can be helpful. Too much anxiety can be harmful.